The weekend of the Feast of Christ the King, is also the weekend that we celebrate the contribution of our young people, through ‘National Youth Sunday’. National Youth Sunday each year is dedicated to welcoming, involving and empowering young Catholics. At a time in their lives when so many things demand to be ‘king’ of their hearts, we reflect and invite our young people to think about what or who is ‘king’ of their heart, and go on to invite Christ to be King of their hearts. 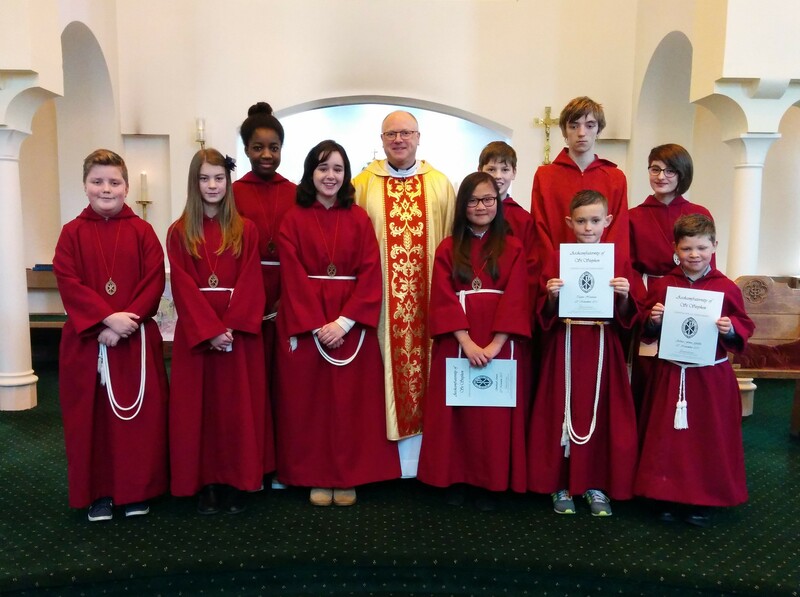 In our parish we engage with our young people through school links, children’s liturgy, youth group and altar serving. Our 10am mass today was led by Mrs Johnson’s class from St. Alban’s school. 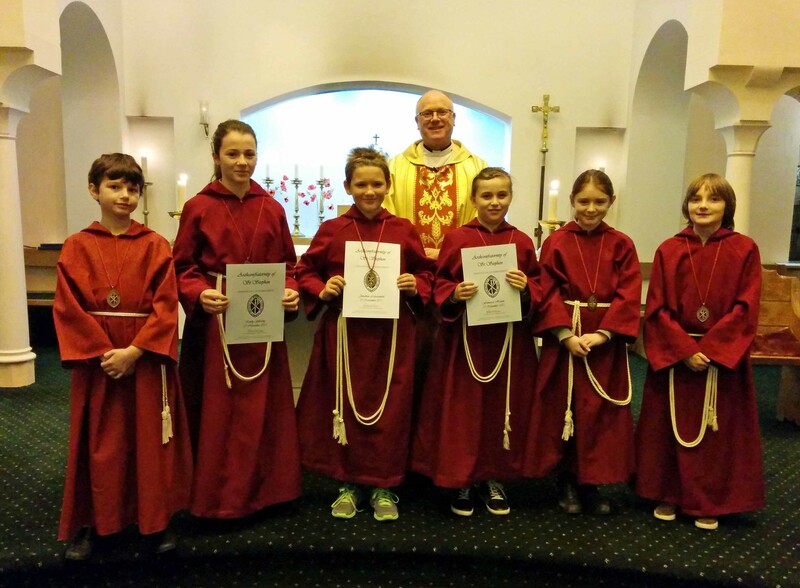 Our Altar Servers at the Saturday vigil mass and also today renewed their promises as members of the Guild of St. Stephen. In addition to renewals over the weekend we have also enroled six new members into the Guild, who were presented with their bronze medal of honour. All six of the servers have been serving at the altar for over 12 months now. Before enrolment the servers participate in a short period of additional preparation and have to be capable and confident to serve a celebration of mass on their own.